Help our veterans. 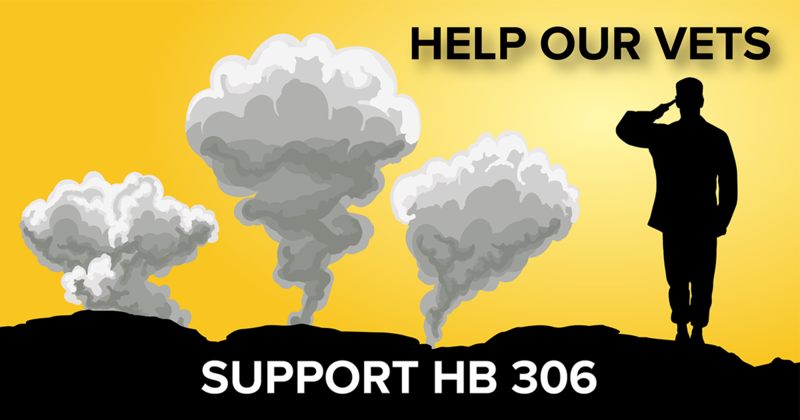 Support HB 306! Our veterans served honorably overseas, taking the fight to those dead set on doing us harm. Now, many of our vets are returning home sick with rare cancers and lung disorders. The cause? Open burn pits operated on our military bases. Instead of properly incinerating our military waste, toxic materials were doused in fuel and set ablaze in open burn pits. Dangerous chemicals were aerosolized and transported deep into our service members' lungs as the toxic plumes washed over our bases each day. This threat is the new Agent Orange. With over 1.6 million veterans, Texas has the second-highest total population in the country. Creating a comprehensive registry of those affected by toxic burn pit exposure would help get our veterans the benefits they and their families desperately need. Send a message to your legislator now to tell them to support HB 306 to get help to our brave veterans. Texas doesn't abandon its warriors. They took care of us. Now it's our turn to take care of them.